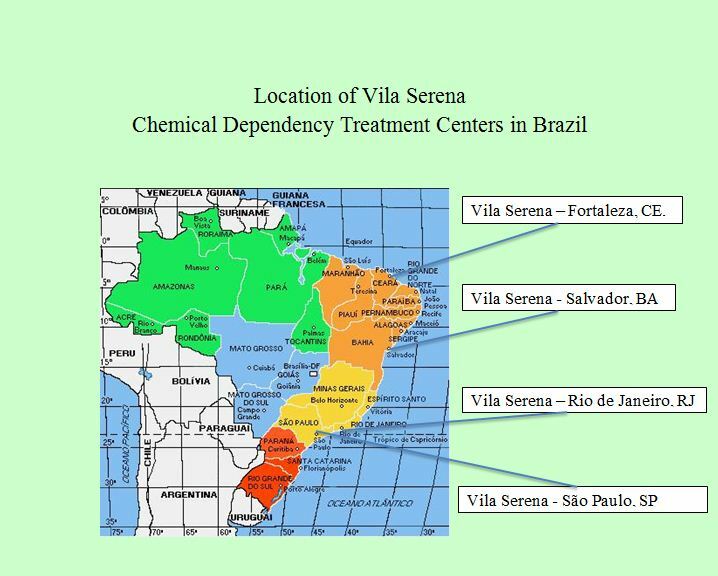 Vila Serena Treatment Centers came to be through a chance encounter between a recovering alcoholic, John Burns, and the then CFO of Johnson & Johnson do Brasil, Michael Norris, who believed their corporation in Brazil needed a recovery program inspired by the then prevalent Minnesota Model developed by the Hazelden Foundation of Center City, MN, who guided Vila Serena in its early years of formation. After 35 years and 30,000 dependents treated, Vila Serena enjoys the continuing encouragement of Michael Norris, Peter Rodenback, founder of McDonald´s and Outback Steackhouse in Brazil who mentored us through the process of a franchise structure, and the technical assistance of the Chestnut Health System, represented by Jim Fraser. Good folks. Dependency is a dysfunctional life style which requires psychoactive substances to support it, and requires developing a new manner of living without the substances. Based on the work of William H. White, this is a long term process and presents us with the challenge of maintaining the recovering person in some group support structure. In terms of archetypal psychology as espoused by the Jungian James Hillman, the role of the treatment center is to be attentive to what is going on, “sticking with the image”, which is not what is seen but how it is seen. The process is essentially encouraging the imagination on the premise that the soul, ego and conscience are the imagination creating reality. Not an easy concept and better elaborated in a paper in English between John Burns and Jim Hillman, available in the mostly Portuguese collection of supporting documents. Click here to access, “Influences”. Man is only too ready to hide the poverty and neediness of his existence in history. He does not like the risks faced by the prophet, the dire poverty of hope, the life of a person who finds his support in the intangible promise of a provisional present. Poverty of hope . . .
. . . before an intangivel promise . . .
. . . of a provisional present. Not easy, but recovery is not easy. 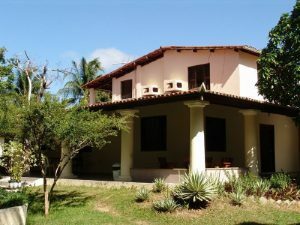 Vila Serena Fortaleza, inaugurated in 1997, is located in the district of Eusébio in the former residence of the state governor and is the largest of the Vila Serenas with a capacity for up to 50 residents. Vila Serena Rio de Janeiro, the first Vila Serena, was inaugurated in 1982. It is located in Maracanã and has 18 beds. Its location allows easy access during the second phase or post-treatment, the essential period to ensure recovery. Click here to access a detailed site. 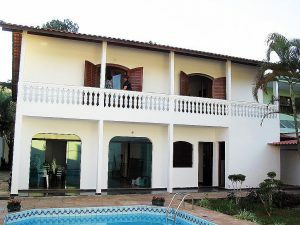 Vila Serena Bahia founded in 1996, is located in the neighborhood of Lauro de Freitas and has 26 beds. It has received clients from all over the North and Northeast of Brazil and works with companies such as Petrobras. Vila Serena São Paulo was inaugurated in 1985. In addition to private residents, it treats employees of state companies such as Metro and Sabesp. Located in the Interlagos neighborhood they are available 24 hours a day every day. Click here to access detailed website. Until the middle of last century, the predominant methodology of treatment of chemical dependency was seclusion in an asylum. Dependence was seen as a mental illness. From the 1950s, led by Dan Anderson of the Hazelden Foundation in Minnesota, USA, addiction was seen as a multifaceted disease with bio / psycho / social aspects and addicts were admitted to specific centers with the methodology based on the 12 Steps of Alcoholics and Narcotics Anonymous. Encouraged by the company Johnson & Johnson do Brasil that lent $ 50,000 a group was trained in Hazelden by Dan Anderson who subsequently visited Vila Serena. John Burns was part of this founding group. To further deepen our treatment knowledge John Burns completed a Ph.D. thesis, "Chemical Dependency and General Systems Theory" and this with Carl Jung's archetypal psychology deepening as interpreted by James Hillman, established and deepened the roots of characterization of the treatment in Vila Serena as, "Group therapy based on the 12 Steps of Alcoholics and Narcotics Anonymous." 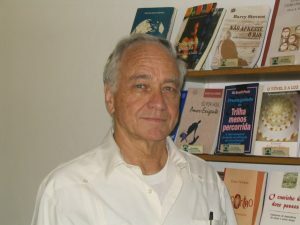 "The Minnesota Model in Brazil" - Vila Serena bases its philosophy on the archetypal psychology elaborated by James Hillman, among others, and based on the approach of Carl G. Jung. This document is an exposition of the entanglement between archetypal psychology and the Minnesota Model, and assumes a familiarity with archetypal psychology as elaborated in James Hillman's book, "Archetypal Psychology - A Brief Report." It is a complex study paper. The first issue was commented on by James Hillman, and his notes are included. Click here to download this 37 page document. Also, click here to download a version in English. "The Winds of Life and Chemical Dependency - An Application of Archetypal Psychology," an attempt to help the counselor always keep an open mind and see the group process as something always new and fascinating. 28 pages. Click here for a version, format doc. Click here for a version, format pdf. Click here for a version in English, format doc. Click here for a version in English, format pdf. Click here to download 11 page document. Manual of Treatment for a youth project. In 2003 Vila Serena participated in a project for young people together with Samaritano Hospital and Chestnut Health. The project did not take place, but a manual was produced that may be of interest to anyone thinking of developing a treatment center. Since 1980 Vila Serena has offered the best of recovery related literature in Portuguese, including the classic "24 Hours a Day". Click here to access Editora Vila Serena. 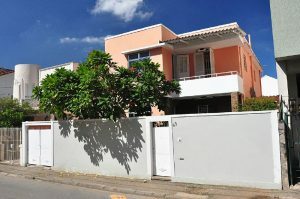 Vila Serena is a system of franchises established in Fortaleza, CA, Salvador, BA, Rio de Janeiro, RJ and São Paulo, SP. They are located in urban centers to facilitate transportation. If you are interested, please call or WhatsApp Da. Myrthes at (11)98140-2037 for an initial orientation and eventual visit.